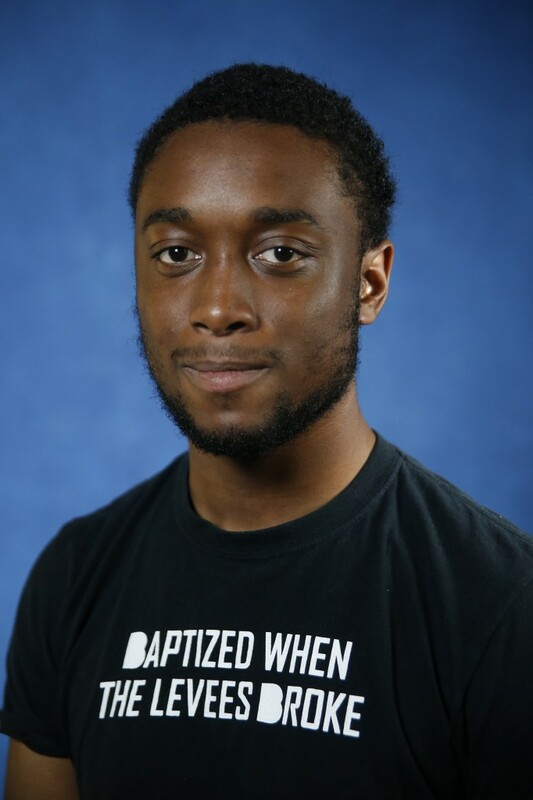 Kalin Norman is a junior, mass communications major with a concentration in media production. He is also the Jackson music representative for Warner Music U, a branch of Warner Music Group that focuses on college students and their experiences to generate fans for their artists. Reps host campus events, provide insights on what’s trending, and what music is popular on their campus while helping students discover new Warner Music Group artists. Norman said he became a rep after receiving an inbox from the music group via social media. He believes his art is what attracted the attention of Warner Brothers. “I guess the reason they asked me to do it was because they saw the art that I’ve been doing for the past couple years, and they wanted to include that in their Warner Brother family,” he said. After checking out their site, he decided to sign up. As a result, he was able to host his very first HBCU college tour last month. The tour included Atlantic Records (Warner Music label) artists Ayanis, Bri Steves, K’Ron, and RecoHavoc. “It was really fun, and the people were really cool. I listen to all of their music,” he said. Although Norman said he enjoyed the experience, he admitted to a few challenges. However, he was able to overcome them with the assistance of Mikasa Patton, assistant director for student engagement, and the JSU Campus Activities Board on his team. “The artists loved JSU. I don’t think they were expecting us to present ourselves the way we did. We welcomed them with a party, then there was a bit of history about Jackson state, and then the sonic boom performed,” said Norman. “I believe this is the first time they saw and heard an HBCU band play their songs. The Sonic Boom gave the group a treat by playing “No Boyfriend” by K’Ron and “Jealousy” by Bri Steves. The whole experience was a learning lesson said Norman, and it gave him a chance to see what it’s like being an artist trying to gain publicity and notoriety. The New Orleans native is referring to his craft as a mixed media artist, who uses photography, videography, and music to create his works. He was also able to use the Atlantic artists as muses. “Even though we have two different mediums, we’re trying to achieve in the same way. I’m watching myself through them. They’re going through what I’m striving to go through one day,” Norman expressed. 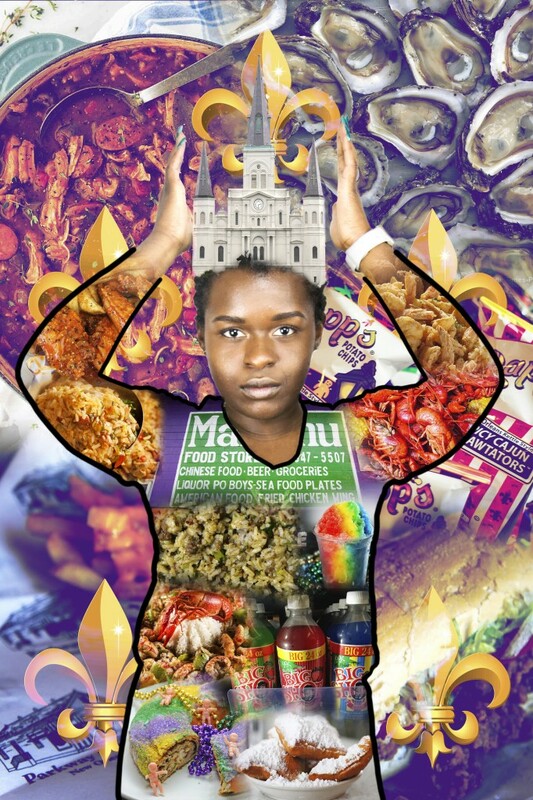 The JSU student uses still shots or silhouettes of his client and fills them in with items that describe the person’s personality or brand. Norman said the idea stems from different perceptions that he has about the world. He compares his art to a billboard with the model serving as the product being advertised. “Everything doesn’t need to be a statement. But in art, everything needs to be a form of expression and truth,” he explained. Before attending JSU, Norman played in the Edna Karr High School Marching Band under the direction of Jackson State alum, Christopher Herrero. “Everything was Louisiana State or Southern. I didn’t want to go to a PWI, and everybody I knew was going to Southern, so I didn’t really know what I wanted to do,” Norman said. However, he and his mother both eventually decided on Jackson State. Norman said he wanted to get out of his “small bubble” and go beyond the limits of New Orleans and Louisiana. “Basically, I came here with the intent of learning and to network as much as possible. I’m getting my degree while also meeting as many people as I can; like-minded people, people that do art, people that are driven by whatever passion they have,” he explained. Although Norman is still figuring his plans out, his overall goal is to work in art. He wants to go wherever his art takes him. “I just want to make art. I want to make stuff that matters to people. And even if nothing ever comes out of it, I’m going to still keep doing it, because that’s what I like to do,” he expressed. When it comes to advice for other creatives, Norman recalls the words of Yasiin Bey, the rapper formerly known as Mos Def. Future plans: Norman will host an exhibition of his work in spring 2019.